Mindful of the death and destruction faced by residents of North and South Carolina in the path of Florence's languishing rains and damaging winds, Rhode Island PBS marks the 80th anniversary this week of a faster moving "surprise" storm simply known as The Great New England Hurricane of 1938. Also called the Long Island Express, the Hurricane of 1938 was the most destructive storm to strike the region in the 20th century. 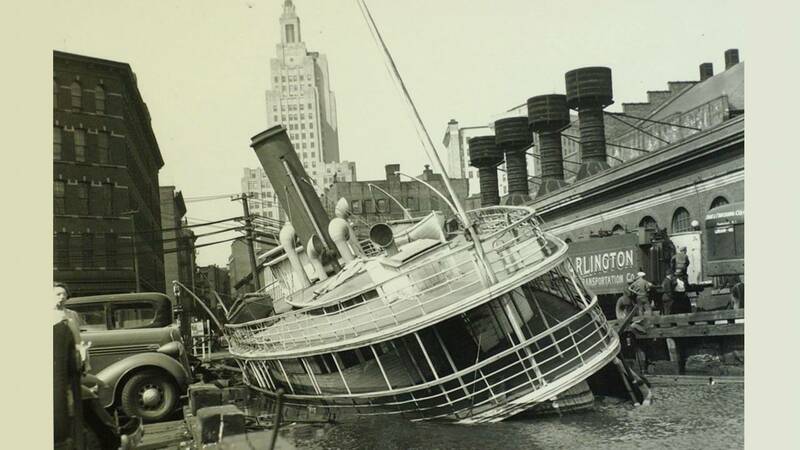 On the anniversary date of the storm - September 21 - Rhode Island PBS presents its annual broadcast of its Emmy Award-winning documentary, Wake of '38, at 8 p.m. It was in the days before the weather service began naming storms, when forecasting was not as sophisticated nor communications as instantaneous as they are today. One fast-moving storm careened up the east coast, wiping out entire New England coastal communities, and ​taking 600 lives. 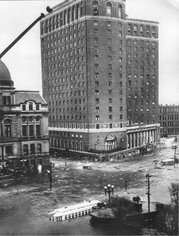 It is known plainly and simply as the Hurricane of 1938, but its effects were anything but plain or simple - and its scars are still visible on buildings in downtown Providence. In 1978, WSBE (then "Channel 36" now "Rhode Island PBS") marked the 40th anniversary of the hurricane by making a documentary about the storm, using archival footage and interviews with survivors. The dramatic story won an Emmy Award for WSBE. For the storm's 75th anniversary, Rhode Island PBS compiled a collection of remarkable photos and links to other stunning 1938 storm galleries.